This tiny island bottled up with many sites and scenes, a traveller could be surfing the waves in sunrise and enjoying the view of green mountains by the sunset. Sri Lanka is an ideal place for fun and leisure. Tourist destinations in Sri Lanka offer a collection of experience from sun-kissed golden beaches to fun-filled adventurous sports, wildlife watching and pilgrimage to some of the ancient cities in the world. Sri Lankan people hospitality and smiles are world famous and are the foods and fruits. Lonely Planet ranked Sri Lanka as a top country for travel in 2019. Let’s have a look at why Sri Lanka is the best tourist destination. Sri Lanka is a wonder itself because of its unique compact of physical diversity. The diversity of Sri Lanka extended to every aspect of life from the various shape of beautiful beaches and the expanse to the rocky harbour, the tiny island holds a coastal with the host of geographic features like wetlands, lagoons, rivers and jungles enriched with numerous types of wildlife. Sri Lanka’s central area covered with misty mountains, greenly forests (seven different types of forests), tea plantations and stunning waterfalls, Sri Lanka has the largest number of waterfalls. As a result of foreign immigrants, Sri Lanka develops as a multi-ethnic, multi-cultural and multi-religious society. The main groups of ethnic are the Sinhalese and Tamils; both ethnic originally came from the Indian subcontinent. Then when Sri Lanka became as an ancient trading Centre, Muslims came and settled here. There are other communities like Portuguese, British, Kaffirs from Africa, and Chetties from South India and so on. Whatever their ethnic or situation in society, Sri Lankan people possess a warm and friendly nature. Sri Lankan citizens take pride in inviting people to their homes as they take hospitality very seriously. Sri Lanka owns a variety of cuisine; on this island, many types of rice, vegetables, fruits and spices are being cultivated. Sri Lankan people consumed rice with different curries like potato, green banana, eggplant, green leaves curries, fish and chicken. 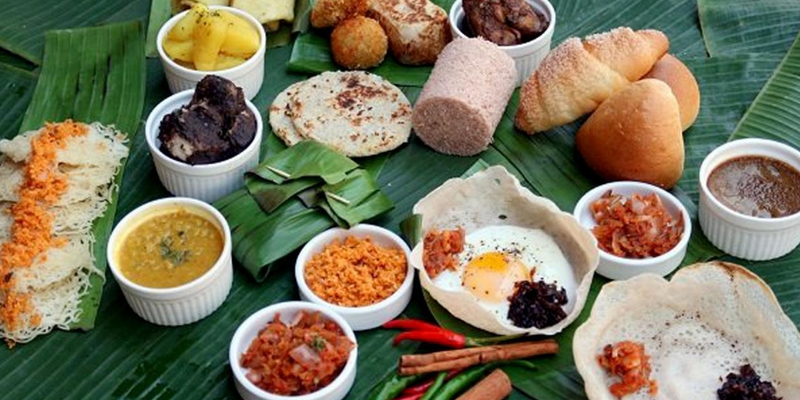 Pittu, hoppers, string hoppers and pol rotis are the famous Sri Lankan breakfast and dinner meals. Seafood lovers enjoy the fresh fish, crab and prawns dishes here. Wattalapam and buffalo curd with palm-honey are the famous desserts in Sri Lanka. Sri Lanka has its own snacks as well such as patties, fish bun ( malu pang ) cutlets and crocodile shape kimbula buns, these snacks are excellent for travellers. Sri Lanka has delicious fruits like mango, banana, pineapple, papaya, wood apple, rambutan and many more. Altogether Sri Lanka offers an excellent feast for food lovers, and where tourists can taste different kind of flavours and spices with delicious sweetmeats. 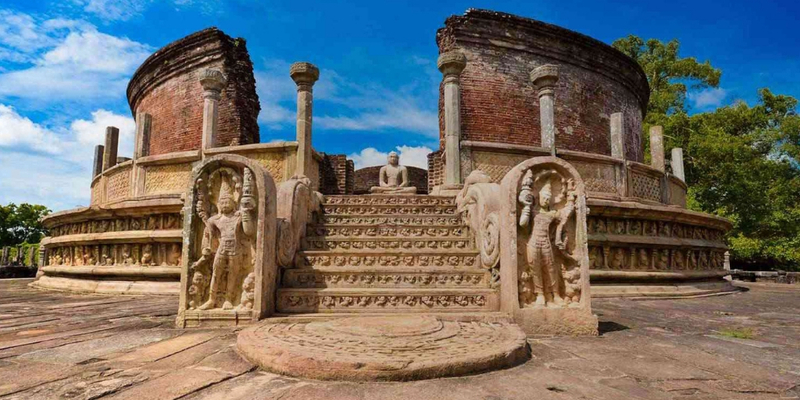 Sri Lanka has the UNESCO recognized six archaeological World Heritage Sites; Anuradhapura, Sigiriya, Polonnaruwa, Kandy, golden temple of Dambulla and the ancient town of Galle and its fortifications. From enormous remnants of historical structures in the ruined cities of Polonnaruwa and Anuradhapura, the palace at the rock of Sigiriya and the tremendous staircase to the golden temple at Dambulla, tourists can explore these World Heritage Sites within Sri Lanka’s Cultural Triangle region. The earlier majestic capital of Kandy situated in the hill station of Sri Lanka, Dalada Maligawa -the holy Temple of Tooth also situated in Kandy which has the holy tooth remnant of Lord Buddha. Kandy is a home for traditional culture with its unique architecture, music and art. In distinction to it, tourists can explore the foreign heritage of the country-The Dutch fort at Galle; it’s one of the best-preserved forts in Asia. Sri Lanka has the inheritance of colourful festivals relating to different religious people such as Buddhist Hindu, Muslim and Christian. 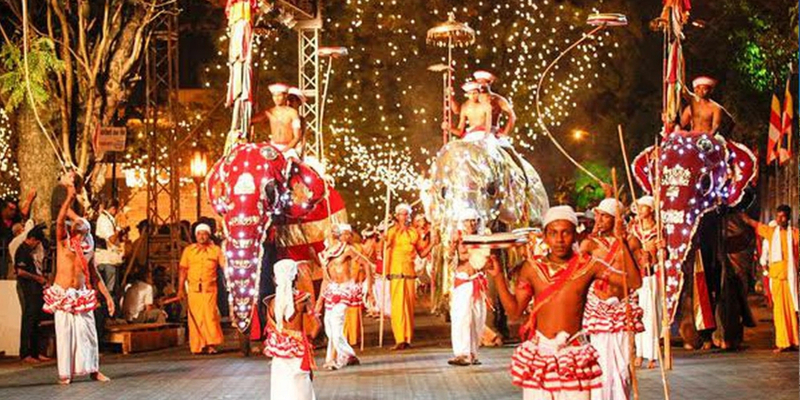 Esala Perahera is one of the most tourist-oriented festivals in Sri Lanka, it’s a 10 days festival occur in late July to early August, It’s a magical night procession filled with dancers, drummers, whip-crackers and robed elephants. Hindus’ Kataragama festival and Nallur Kovil 25 days festival also very famous among tourists as these festivals attract many tourists to Sri Lanka. From ancient time Sri Lanka has been a curing centre of spiritual and physical complications. Ayurveda programs contain an array of numerous types of massages/baths and herbal treatments together with emetic and renewal methods like yoga and meditation. In the west coastline area of Sri Lanka, there are lots of spas which not only offer Ayurveda but also other Western and eastern treatments like hydrotherapy, Thai massage, herbal baths, beauty treatments and massages. Sri Lanka is a home for many national parks, sanctuaries, forests and jungles. Sri Lanka owns a high grade of biodiversity. Conservation International listed Sri Lanka among the 34-world biodiversity hot spots. Adding to this, Sinharaja Forest – The tropical rainforest of Sri Lanka has been chosen as a UNESCO World Heritage Site. 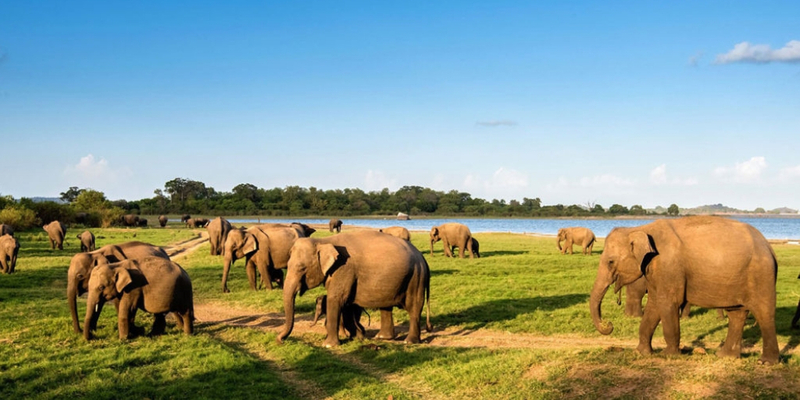 One of the 14 national parks’ safari offers the chance to see some of Sri Lanka’s wildlife such as 91 mammals in which 16 endemic – elephants, sambhur, leopard, spotted deer, sloth bear, mouse, hog and barking-deer, porcupine, wild boar, ant-eater, Loris, civet cat, giant squirrel, and monkeys such as a grey languor and the macaque, purple-faced leaf monkey. Sri Lanka is a paradise for birdwatchers, with more than 233 resident birds with 33 endemic birds but migratory birds from foreign countries magically increase the number from 233 to 482. There are 106 amphibians and 171 reptiles. Sri Lanka is a resident for 83 snake species but thankfully only 5 snake species are poisonous. Sri Lanka is a perfect location for windsurfing and water sports like water-surfing, water-skiing, sailing, snorkelling, scuba-diving, speed-boating and banana-boating. Major water-sports sites are situated in the Negombo region on the west coastline of the country, Wadduwa, Beruwela and Kalutara on the south-western coastline and Bentota, Galle, Hikkaduwa, Unawatuna, Tangalle, Koggala and Hambantota on the southern and south-eastern coastline of the island. Sri Lanka owns more than100 hundred rivers together with and irrigation lakes and lagoons so there are ample chances for camping trips throughout the year. Kalu Ganga and the Kelani Ganga are the two famous locations for camping. 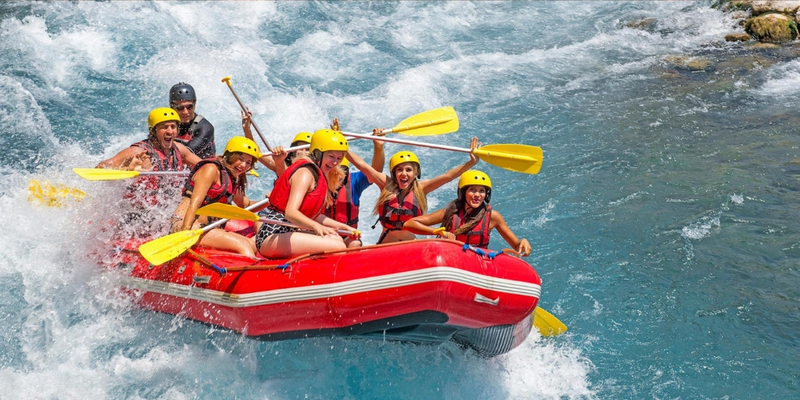 From November to April time Kelani Ganga has wild headwaters and the falls are perfect for white-water rafting. Diverse of the landscape, archaeological sites and wildlife offer outstanding chances for trekking. Wildlife trails through the Knuckles, Sinharaja rainforest, cloud-forests of Horton Plains and Hakgala Stern Natural Reserve is a fun-filled adventurous journey. Tourists also enjoy para-sliding, cave treks, rock climbing and mountain biking. Sri Lanka has a diversity of accommodation choices. Colombo constructions are not only a crowd of modern five-star hotels but also iconic colonial-era hotels with the touch and amorousness of the historical era. Sri Lanka is blessed with remarkable hotels situated in stunning settings. Especially the west and south seaside areas have numerous resort hotels for package tourists. Numerous hotels and resorts are designed in an architectural style called ‘tropical modernism’ in which modernism methods are gorgeously moderated and enhanced by traditional architecture influences. 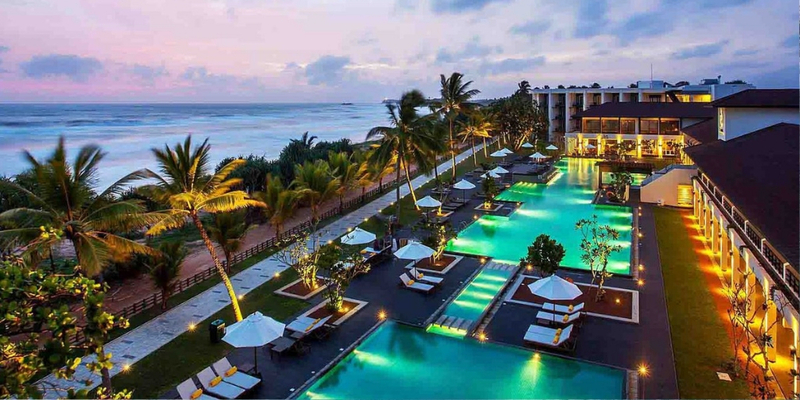 There are lots of boutique hotels situated on the west and south seaside, they are chiefly centred at Galle. 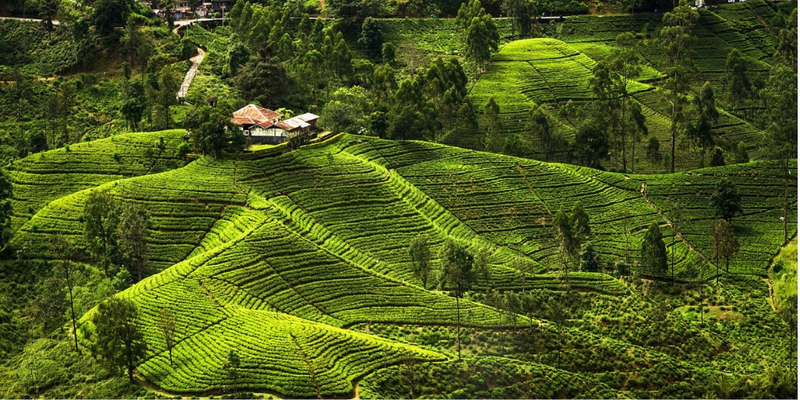 Hill station cities Like Kandy and Nuwara Eliya have colonial-era hotels, colonial homes, jungle cabins, tea and rubber plantation buildings, tree-houses, eco-lodges and camping under canvas. Tourists can experience a wonderful hotel stay in Sri Lanka. Virgin sun-kissed beaches, valleys, beautiful landscapes, majestic historical monuments and temples, luxurious hotels and resorts, enchanting wildlife and unique traditional culture makes Sri Lanka a super astonishing place for tourism. Sri Lanka is one of the world’s luxurious tourist destinations and it attracts many visitors by its glorious beauty.